Throughout our time in South Africa, we will be updating this blog. But, in addition, there will be deeper layers of more personal sharing that will happen via our email mailing list through which we will send our newsletter and other important updates about our family and ministry. So, if you want to join that list, you may do so in the upper right hand corner of this blog. Simply fill out your info and click submit. 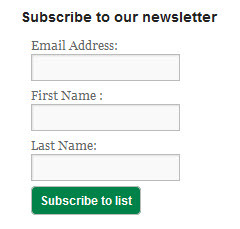 Then, check your email and click the button that verifies your subscription to our list. That's it. We would love to have you join.